Local officials, taking their cue from ever-increasing attacks on family planning programs at the state and federal levels, have begun carrying out efforts in their communities to cut funding for this essential care at local public health departments and clinics. These family planning services typically include contraceptive counseling and provision, breast and cervical cancer screening, sexually transmitted infection (STI) prevention and testing, and pregnancy testing and options counseling. Funding for family planning may not be used for abortion, but by law clinics that receive certain types of funding must provide referrals to abortion providers for patients who so choose. Beginning in 2015, elected officials and anti-choice activists began to use a deceptively-edited video smear campaign against Planned Parenthood to argue for defunding the health care provider. As with earlier funding disputes, federal and state attacks again have begun to trickle down to the local level, with local anti-choice activists falsely accusing Planned Parenthood of illegal activity and incorrectly insisting that other health care providers could fill the gap left by defunding Planned Parenthood. 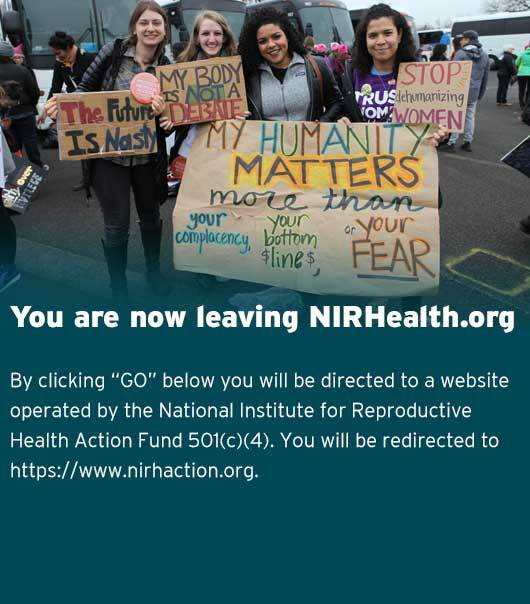 The National Institute for Reproductive Health stands with Planned Parenthood and all reproductive health care providers, who provide invaluable services to their local communities. Learn how a state-level defunding attempt is impacting municipal and county funding of reproductive health care in Florida. In July 2015, the Clark County, Ohio Board of County Commissioners voted 2-1 to approve a $138,000 contract with Planned Parenthood Southwest Ohio, earmarked for education and teen pregnancy prevention; the decision came in spite of a request by the dissenting Commissioner, Rick Lohnes, to delay or cancel the contract until after the release of a state investigation into a deceptively edited series of videos released by an anti-choice organization. In January 2016, local anti-choice activists attended a Commission meeting to request that Clark County stop funding Planned Parenthood. The organizer of this anti-choice advocacy, Greg Rice, incorrectly suggested in the hearing that the ACA or anti-choice crisis pregnancy centers could fill the gap in coverage that would be left by Planned Parenthood, and referenced a biased report by Ohio Attorney General Mike DeWine’s office accusing Planned Parenthood of improperly disposing of fetal tissue. Two out of three Commissioners, John Detrick and David Herier, again refused to stop funding the organization; Commissioner Lohnes acknowledged that “it would be fruitless to bring it up again” to his fellow Commissioners. The following month, Greg Rice and other anti-choice residents returned to the monthly Board of County Commissioners meeting to again request the defunding of Planned Parenthood. Rice again called Planned Parenthood “not necessary” as a health care provider in the County, and again cited Attorney General Mike DeWine’s biased report. Commissioners Herier and Detrick, citing Clark County’s high teen pregnancy rate, continued to refuse to defund Planned Parenthood. They also mentioned that the County funds an anti-choice crisis pregnancy center and support services for young parents, to use “every possible weapon we have” against teen pregnancy. This statement stigmatizes teen parents and contains inaccurate and worrisome implications – deceptive crisis pregnancy centers are not effective in preventing pregnancy and do not provide reproductive health care. Nonetheless, the Commissioners’ steadfast support of Planned Parenthood and the continuation of this funding is a victory for reproductive health in Clark County. Read about the January and February County Commission meetings in the Springfield News-Sun. Minutes from the January County Commission meeting. In November 2015, the Garfield County Board of Commissioners voted to defund Planned Parenthood of the Rocky Mountains (PPRM), which was slated to receive a renewal of funding to support their cervical cancer screening program. Commissioner Tom Jankovsky led the effort to pull the organization’s funding, arguing that Planned Parenthood is too “political” in nature to receive county funds. This move represented a change in Jankovsky’s stance: in 2012, he voted to maintain funding for PPRM when a similar vote came before the Board. In response to this decision, a local Planned Parenthood supporter started a crowdfunding campaign to raise money for PPRM. Within days, the campaign far surpassed its goal of doubling the $1,500 PPRM was losing from the county; in less than two weeks, supporters gave almost $25,000. These private donations are essential to filling this funding gap, but it is important to continue advocating for the renewal of this grant in the years to come. It is the responsibility of government to invest public funds in providing critical health services to the community. Read coverage of the Board of Commissioners’ decision in the Post Independent and RH Reality Check. The Post Independent also covered the activist crowdfunding response. Visit the crowdfunding page on GoFundMe.com. Read Aspen Public Radio’s coverage of local activists presenting their $25,000 check to their local Planned Parenthood in Glenwood, CO.
After the Longmont Teen Clinic, a branch of the Boulder Valley Women’s Health Center (BVWHC), lost city funding in 2011, the clinic faced another challenge in 2012 when Longmontarea residents began a campaign to cut $207,000 in county funding to the clinic’s Boulder location. These residents opposed the funding because the BVWHC provides confidential reproductive health services to adolescents and provides abortions, although no county funding went to abortion services. After a County Commission meeting on November 20, 2012 where six people stated their opposition, the local newspaper asked local residents to write in sharing their opinion on the issue. The BVWHC appealed to its supporters on Facebook to submit letters to the newspaper as well as to send emails directly to the County Commissioners voicing their support, setting a goal of 200 emails. The newspaper received a flood of letters, both in support of and in opposition to the clinic. The Commissioners received 483 emails in support of BVWHC and 242 emails against the funding. At their meeting on December 13, 2012, the Commissioners, who had also been vocal in their support of BVWHC, unanimously approved the entire 2013 budget, including the $207,000 in funding for BVWHC. In March 2012, the Miami County Commission voted not to submit an $8,000 grant application by the Miami County Department of Health to cover the cost of contraceptives for low-income women. All other grant applications submitted to the Commission by the Health Department were approved. This decision makes Miami County the first in Kansas to submit a family planning grant application without a line item for contraception. The Commissioners who voted to exclude the funding said that their votes reflected the wishes of Miami County voters. Commissioner Danny Gallagher said only one person of the approximately 50 people he spoke with supported provision of contraceptives by the health department; many believed that contraception could cause an early abortion. In response, nearly 100 Miami County residents attended a Saturday morning protest to voice their opposition to the exclusion of contraception funding. Community leaders have contacted the ACLU for support in filing litigation against the county for their decision. A local newspaper, the Osawatomie Graphic, published an editorial criticizing the decision and calling on residents to make their voices heard to the Commissioners. According to Kelly Fritz, a health department volunteer, 116 of the 151 county women served by the program did not have health insurance and so face a high risk of becoming pregnant in the next year without the program funding. After discovering that they could not reject the $8,000 contraceptive grant without rejecting all Title X funding for the County, the Commission chose to revisit the issue at their next meeting. After an hour of discussion in which both sides were equally supported, the Commission decided not to vote again on the issue, therefore rejecting $32,000 in Title X funding. Following the decision, residents of Miami County raised over $9,000 to cover the cost of contraceptives for low-income women for the next year but clarified that it was emergency funding and they expected the Commission to change their votes the following year. In March 2012, New Hanover County received $8,899 in “bonus” state family planning funding to pay for intrauterine devices (IUDs) for county women. IUDs are an excellent, though expensive, long-term birth control option for women and are highly recommended by medical professionals. One of many reasons women may choose an IUD is because they have trouble remembering to take oral contraception at the same time every day, which may decrease their effectiveness. The New Hanover County Board of Health voted 8-1 to accept the funding, with Republican Rick Catlin, the New Hanover County Commissioner and a candidate for the new state House District 20 seat, being the dissenting vote. Catlin disapproved of providing another option for women who, he stated, are too irresponsible to take the pill. The acceptance of funding then went to the New Hanover County Commission for a vote. Guided by Catlin’s belief that funding IUDs was “using taxpayer dollars to fund someone’s irresponsibility”, the all-male Commission voted unanimously to reject the funds. An immediate outraged response ensued, with the ACLU of North Carolina and Planned Parenthood Health Systems releasing statements condemning the decision. National blogs posted the contact information for Commissioners, who fielded hundreds of calls and emails on the topic, and a petition was posted on Change.org, garnering over a thousand signatures. Jonathan Barfield, the lone Democrat on the Commission, stated that he regretted his decision and was speaking with the county’s legal staff to determine if the issue could be reconsidered. A demonstration against the decision took place at a park in Wilmington. On May 5, 2011, the Hamilton County Commission voted against providing an approximately $600,000 contract for family planning services to the Health Department on the fears that it funded abortion. This was due to a misunderstanding on the part of the Commission, with some Commissioners conflating RU-486 (medication abortion) and Plan B (emergency contraception, which prevents pregnancy). When alerted to this misunderstanding by the Health Department administrator, the Commission voted to table their decision until they could better educate themselves about the services provided through the family planning grant. A strong community response pushed for approval of the family planning grant. The Chattanooga Times ran an editorial criticizing the Commission’s original vote and subsequent delay. Chattanooga Organized for Action (COA) organized a rally on the day of the delayed vote, and several letters to the editor were published supporting family planning. The Health Department administrator made a presentation on the services provided under this grant. After this display of community support, the Commission voted unanimously to approve the family planning contract. In a further show of their newfound commitment to family planning, in April 2012 the Hamilton County Commission approved a resolution authorizing the Chattanooga-Hamilton County Health department to sign a five-year, $2.9 million extension with the Tennessee Department of Health for the provision of family planning services. On October 31, 2011, the Clinton County Board of Supervisors rejected a $5,000 grant to Women’s Health Services because the family planning clinic, which does not perform abortions, provides abortion referrals for women who request them as required by federal guidelines. Women’s Health Services was not asked for input in advance of the vote. The two Republican members of the Board based this decision on their personal beliefs against abortion as well as discussions with some community members opposed to using taxpayer money to support the clinic, even though it is not an abortion provider. Two religious leaders spoke at the Board of Supervisors meeting the following week. Pastor Jeff Wartgow argued in support of Women’s Health Services, questioning the assumption that most county taxpayers were opposed to funding the clinic. Pastor John Booth spoke against funding and presented a letter of opposition signed by 30 members of his church. Following these statements, the Board unanimously passed a resolution that excluded the $5,000 grant for Women Health’s Services, denying them county funding for the first time in four years. The Teen Clinic in Longmont, CO is a branch of the Boulder Valley Women’s Health Center. It provides gynecological services and information for local teens, and does not provide abortion services. Boulder Valley Women’s Health Center does provide abortion care, but uses patient fees and not municipal or federal funding to cover the costs of the procedure. The Longmont City Council has provided funding for the Teen Clinic since its founding in 2005. In 2011, some residents began protesting a proposed $11,000 grant to the Teen Clinic, citing opposition to funding clinics that provide abortion. Before the Longmont City Council could vote on whether to provide funding to the Teen Clinic, the clinic withdrew its request for funding. In their statement, they said that they were focused on providing health care, not becoming an advocacy organization. They felt that the discussion about family planning funding needed to happen in the larger community of Longmont instead of the politically charged environment of the City Council. The clinic will try to raise the requested funds from supporters instead. In July 2011, the approval of $39,000 in Title X funding for Ravalli County’s family planning clinic was challenged by county commissioners. A primary concern of the commissioners was that the clinic provided services to minors confidentially, without informing their parents. They were also concerned about the clinic’s provision of emergency contraception and its focus on preventing pregnancy, which commissioners felt implied that pregnancy was a “disease state”. Former State Senator Jesse Laslovich wrote an op-ed arguing for the preservation of the funds, emphasizing the importance of family planning in keeping families healthy and safe. On the day of the vote, more than 100 citizens attended the town hall and more than 50 people spoke, the majority in favor of funding the clinic. In response to this show of support, the Board of Commissioners voted 3-2 to grant the family planning funds for fiscal year 2012, under the condition that the clinic finds a new source of revenue for fiscal year 2013. However, in January 2012 the Montana Department of Public Health and Human Services (DPHHS) sent the Board of Commissioners a letter of intent to assess their interest in accepting Title X funding for fiscal year 2013. If the Board chose to reject the funds, DPHHS would solicit interest from other Ravalli County organizations capable of providing the family planning services. The Ravalli County Board of Health sent a letter of support to the Board of Commissioners urging them to accept the Title X funding. After some debate, the Board voted 3-2 to accept the funds. The condition that the clinic eventually find a new source of revenue was not included in this latest motion. In response to community outrage, the Board scheduled another meeting for community members to voice their opinion on the issue. More than 70 community members were in attendance, the vast majority of whom spoke in favor of accepting the Title X dollars. However, after three and a half hours of testimony, the Commission chose not to reconsider accepting the funding, thus marking the first time in 40 years that Ravalli County would not offer family planning services. Following a decision by the Tennessee state legislature to stop funding Planned Parenthood as a provider of family planning services in Memphis, funding available to the Shelby County Department of Health doubled. Unable to handle the increased patient load, the Shelby County Commission sought proposals for potential partners. Planned Parenthood, Christ Community Health Services, and Memphis Health Center responded. After a review process, during which the standards of evaluation were not made public, Christ Community outscored the other applicants. While Christ Community already offers some family planning services and has a significant presence in the community, they do not offer abortion referrals or emergency contraception. Amid accusations that Christ Community outscored Planned Parenthood largely based on political reasons, the Commission allowed Planned Parenthood to resubmit their proposal for funding. On October 17, 2011, the Shelby County Commission voted 9-4 to contract with Christ Community Health Centers.